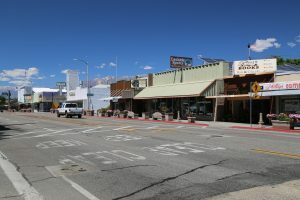 Bishop (Pop 3,800 – Elevation 4150 feet) is the largest town located directly on the 395 between Victorville in the south and Minden/Gardnerville in Nevada to the north. 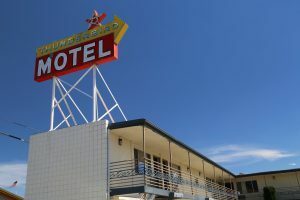 That is a distance of almost 400 miles. 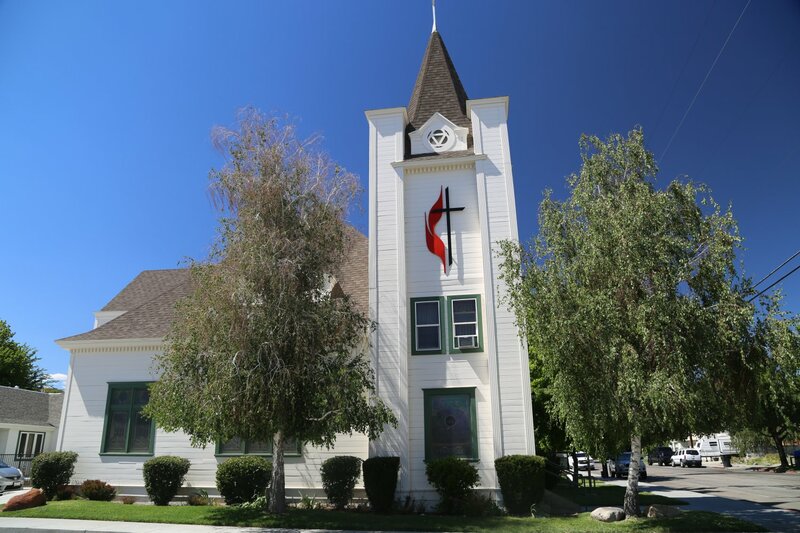 It is the only incorporated city in Inyo County. 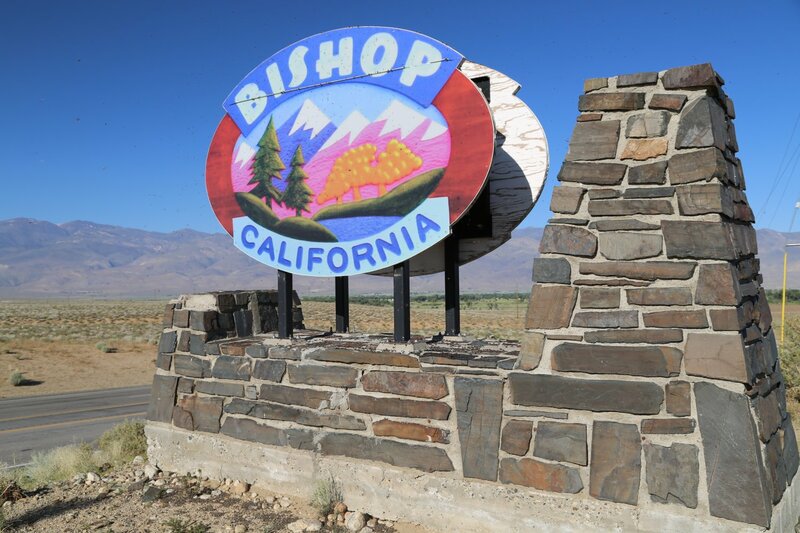 Bishop is located in the upper Owens Valley directly between the two tallest mountain ranges in California, the Sierra Nevada & the White Mountains. The tallest mountain in the lower 48 states is Mt. Whitney at 14,495 feet and the tallest mountain in the White mountains is White Mountain 14,246 ft. 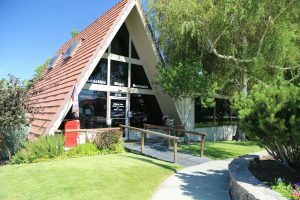 The section of 395 from Mono Lake in the North to Lone Pine in the South is one of our favorite travel destinations in the state of California. There are many natural sights to see and with the exception of Mammoth Lakes (LA’s vacation get-away) the region is relatively unpopulated. 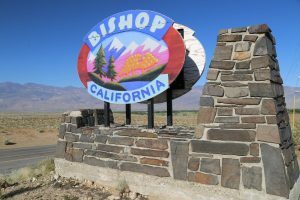 Bishop is the recreational hub for this part of the Eastern Sierras. 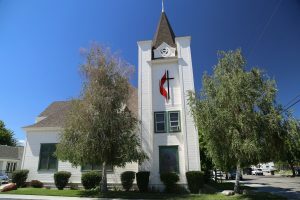 It is a central location for driving down to Lone Pine, Mt. 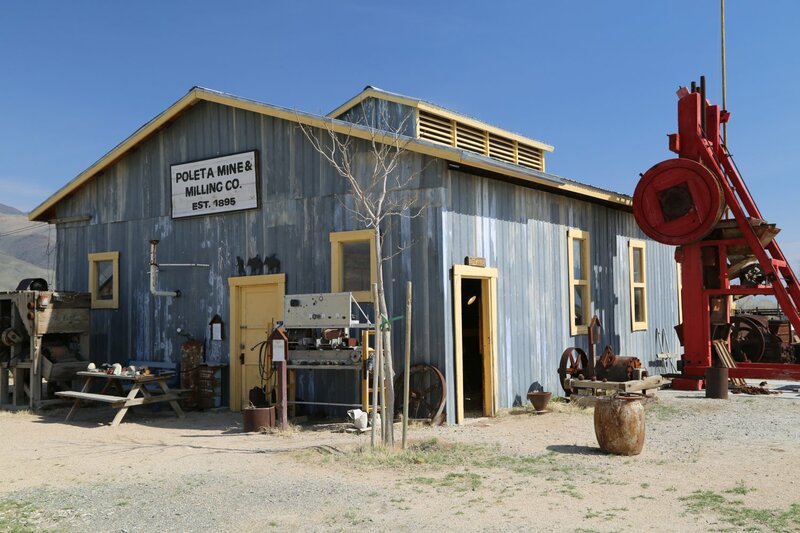 Whitney, the picturesque rocks of the Alabama Hills, Bristlecone Pine Forest, Mono Lake, Mammoth Lakes, Devils Postpile, a number of picturesque lakes and plenty of other mostly natural sights and attractions within several hours driving distance. 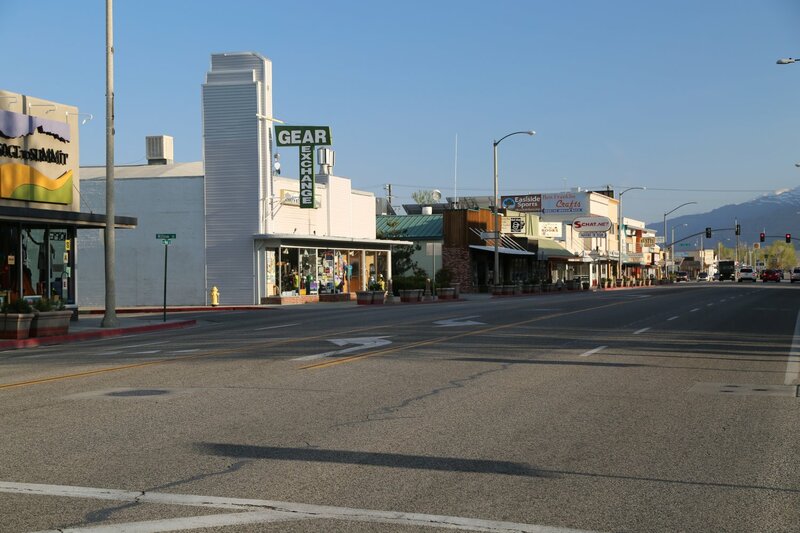 This at times bustling town is spread out for several miles along the 395. 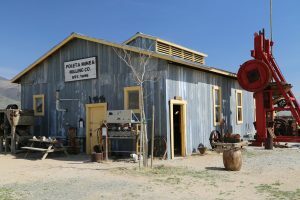 Numerous shops line main street including art galleries, antiques, jewelry stores, fishing shops and other novelty stores. 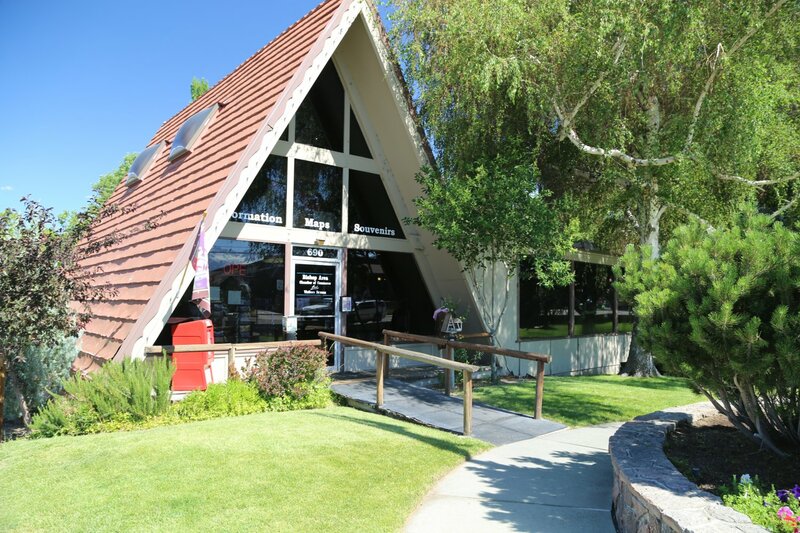 Bishop has plenty of lodging options – especially compared to it’s smaller “neighbors” to the south on the 395. 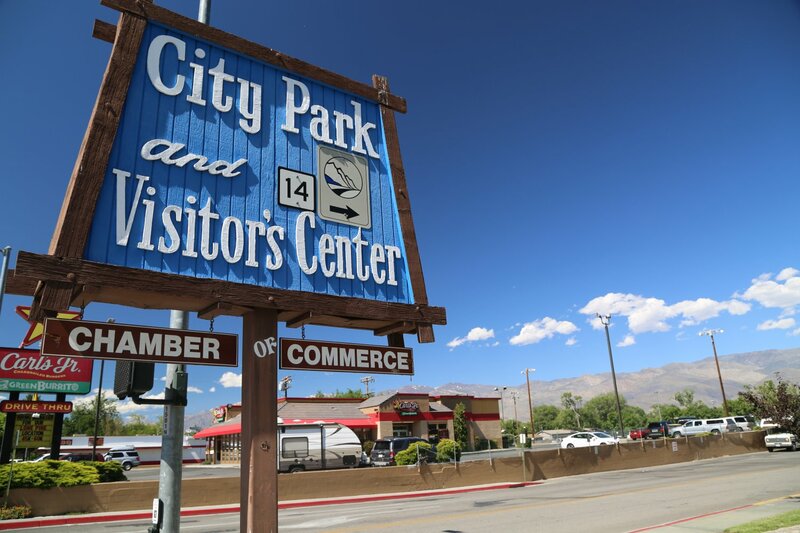 Parking is curbside along Highway 395 (Main Street) or on nearby streets. 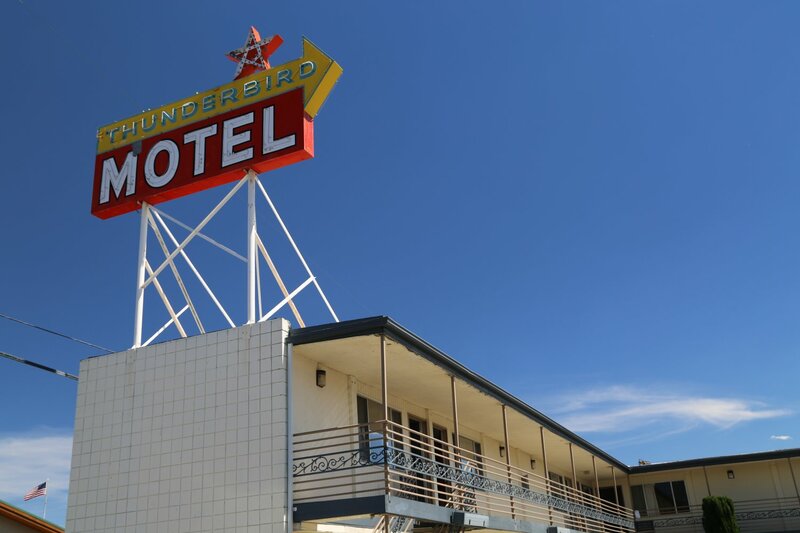 It is well worth your time to park near the center of town and walk along both sides of 395.